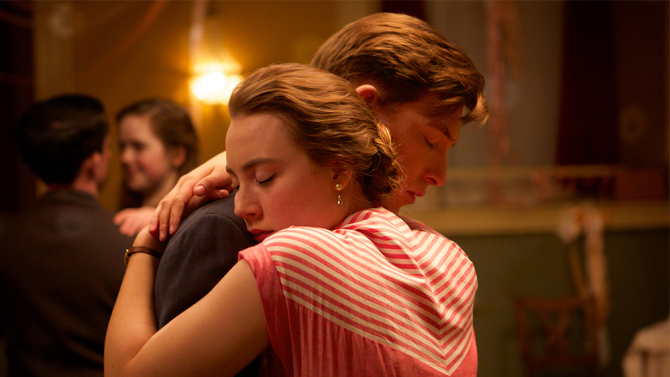 John Crowley’s critically acclaimed BROOKLYN made box office history this weekend, claiming the biggest opening of any Irish film in Ireland since “Michael Collins” (1996). The film opened to over £432k in its home territory after its release on November 4th overtaking recent Irish hits “The Guard” (£408,711), “Angela’s Ashes” (£397,978) , “In Bruges” (£344,481) and “Calvary” (£330,835). Opening on 87 screens resulted in making this screen count the largest ever in Ireland for an Irish film. Taking an estimated £1,041,278 in the UK and Ireland combined means the film is the Number one opener for this past weekend. Following its World Premiere at the Sundance Film Festival in January 2015 and having since played at the Toronto International Film Festival and had a gala presentation at the BFI London Film Festival the film has been nominated for five Moët British Independent Film Awards including Best Actress (Saoirse Ronan), Best Screenplay (Nick Hornby), Best Supporting Actress (Julie Walters), Best Supporting Actor (Domhnall Gleeson) and Outstanding Achievement in Craft (Fiona Weir – Casting). BROOKLYN stars Saoirse Ronan (‘The Grand Budapest Hotel’ and Oscar® nominee for ‘Atonement’), Domhnall Gleeson (‘About Time’, ‘Anna Karenina’), Emory Cohen (‘The Place Beyond The Pines’), Jim Broadbent (Oscar®winner for ‘Iris’) and Julie Walters (Oscar® nominee for ‘Billy Elliot’ and ‘Educating Rita’). Adapted from Colm Tóibín’s New York Times Bestseller by Nick Hornby (Oscar® nominee for ‘An Education’) and directed by John Crowley (‘Intermission’, ‘Boy A’), BROOKLYN is produced by Finola Dwyer and Amanda Posey (‘Quartet’, Oscar® nominees for ‘An Education’).